After disappointing the Manchester United faithful by revealing he won’t be retiring as their side’s manager, Jose Mourinho now end up making an early exit from the Premier League should the Red Devils find success in Europe. The Portuguese fired his side to one of their best starts to a campaign since Sir Alex Ferguson stepped down, and has tasted defeat only once in all competitions so far. United also look likely to finish as leaders of their Champions League group, and look well prepared to challenge for the ultimate European glory. 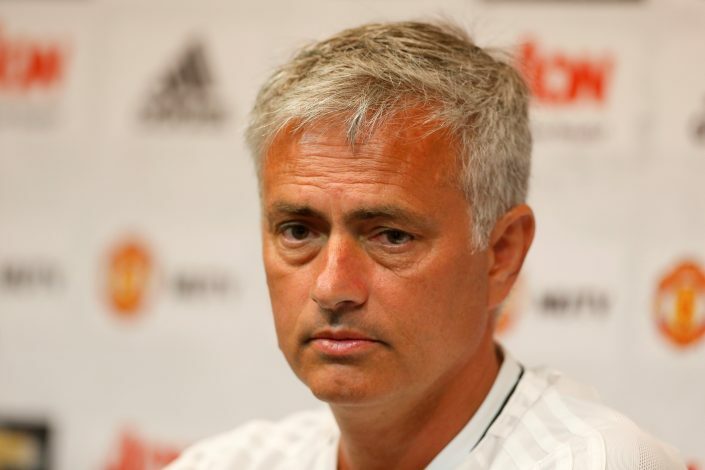 However, that could also open the exit doors for Mourinho, who, according to Spanish outlet Don Balon, could depart the club should his side lift the Champions League trophy. Though the former Real Madrid manager’s departure was expected sooner or later, planning to step down from the Old Trafford helm right after a successful run is certainly unexpected. On the other hand, Don Balon also reported that Paris Saint-Germain are one of the leading clubs competing for the tactician’s services. The French giants are reportedly on the lookout for high-profile managers in order replace current boss Unai Emery, who seems to be facing immense pressure from the board due to lack of Silverware at the Parc des Princes recently. PSG are ready to lure the ex-Chelsea boss away at the end of the season, and will be handed an incredible boost if all goes according to his plan. However, that also means the Parisians will continue their long-term thirst for European title should the Red Devils claim it at the end of the season. Nevertheless, the 54-year-old seems to be enjoying his days in Manchester as of now, and is likely preparing for his side’s upcoming Premier League fixtures in order to pile the pressure on league leaders and rivals, Manchester City.